The Vampire’s Unintended Alien is part of the Nocturne Falls Universe where the town Nocturne Falls is a safe haven for supernaturals and they celebrate Halloween 365 days a year. This story can be read as a stand-alone. Viktor and Isabel are attracted to each other. Their was no getting to know each other. It was BAM they are in love just after one kiss. Thou Viktor is convinced his mother cast a love spell and so he tries to stay away, but can’t. The story has a cute concept and we get a verity of supernaturals, but their was really no plot. The love between them is instant. 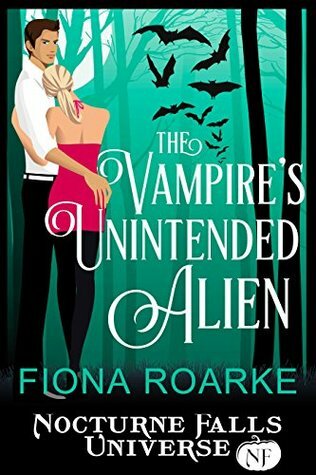 The Vampire’s Unintended Alien is a cute title and an ok read, but the story was blasé. I wasn’t impressed. Sign into Goodreads to see if any of your friends have read The Vampire's Unintended Alien. Great review Angela!💖💋 sounds cute! Kat wrote: "Great review Angela!💖💋 sounds cute!" Somia wrote: "Nice review Angela"